Please note that I am tying this knot with luminous string to make it easier and am tying to a large ring just for the sake of illustration. 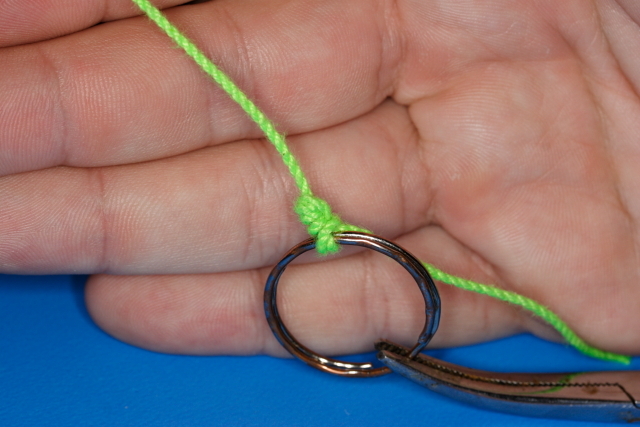 The the line and pass it twice through the eye of the hook or swivel or what ever you are tying the line to. 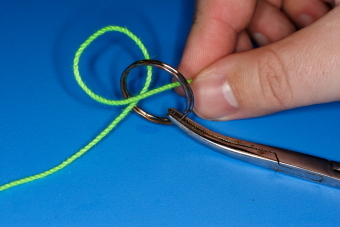 I find it easier to place my thumb through the loop formed by passing the line twice through the eye. 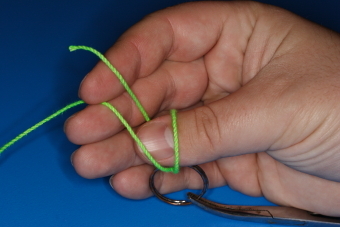 Whilst keeping your thumb in position take the tag end and wrap it around the line 5-6 times.. 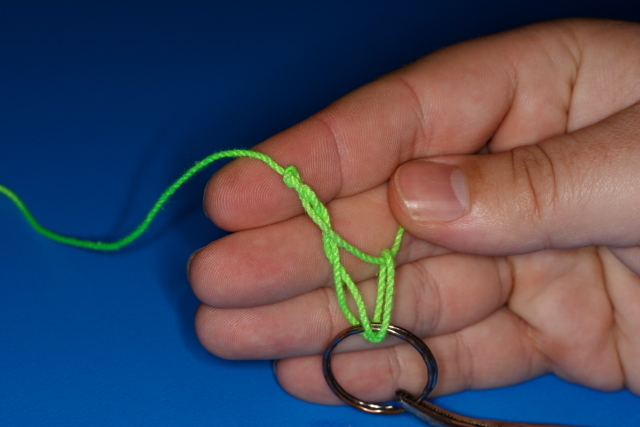 The take the tag end and pass it through the loop that you thumb was holding open. 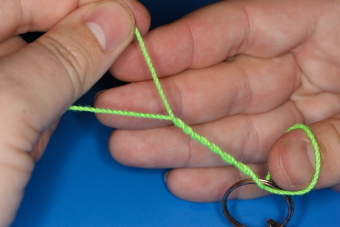 Moisten the knot with saliva and gently pull on the tag end to tighten it.